If you’re anything like me, you’ve already busted out all the Fall decor! And if you haven’t yet, you have some great willpower!! I get the -itch and just go for it! 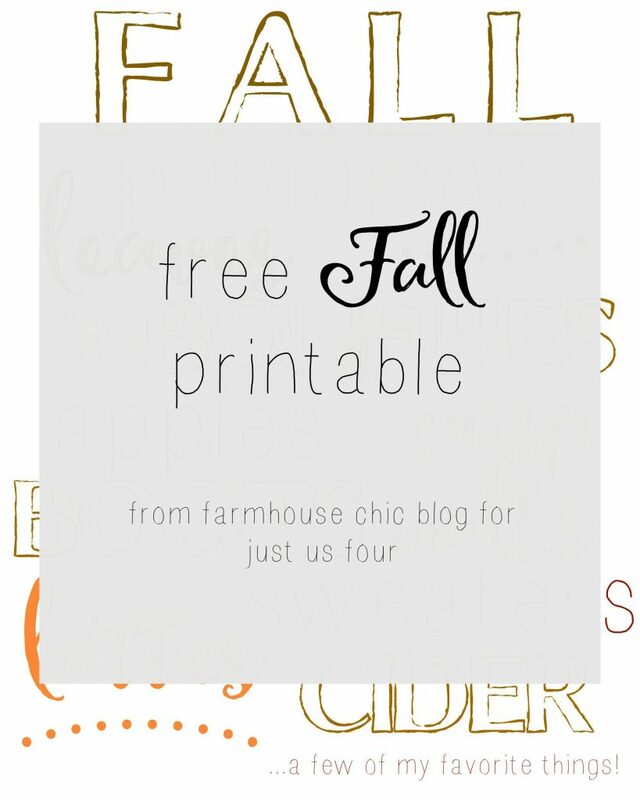 Today I’m sharing a sweet printable that will be the perfect addition to your Fall decor! I love creating a super cozy, warm atmosphere around the house for Fall! It’s amazing to relax in, and inviting when guests come over! One this you should know about me, if you don’t already, is I love creating little vignettes around my home. I love taking a particular space and “going to town” on it! Using a little bit of anything and everything to pull the look together. I tend to use an excess of pillows, books, pumpkins, cozy blankets, etc. 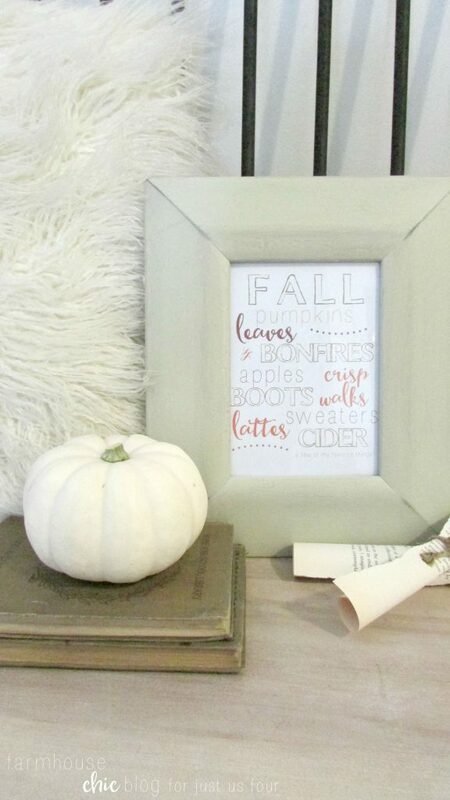 The Fall favorites printable I created for you all, fit perfectly framed on my windsor bench. Do you and your family have traditions you look forward to each Fall season? Our family does! 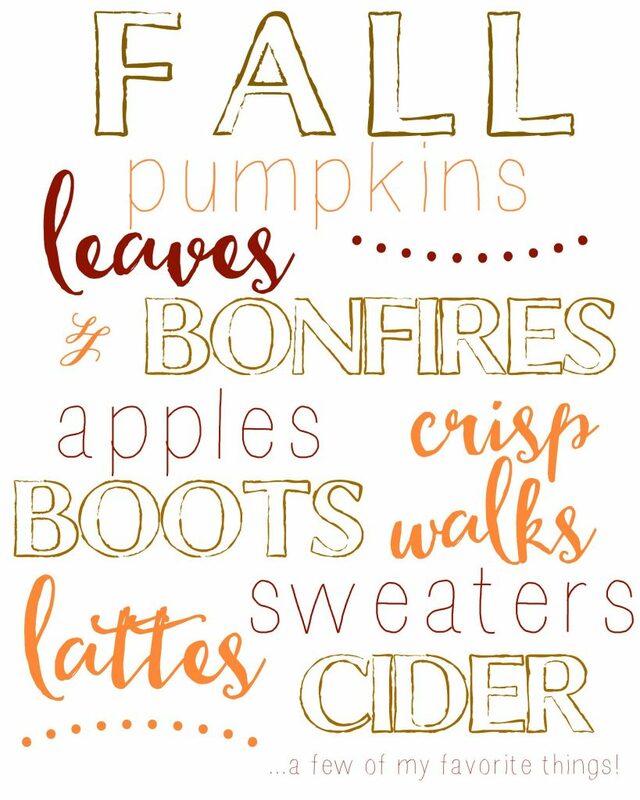 We look forward to going to a local apple farm and picking apples, having a bonfire on the weekends with friends, picking pumpkins at the pumpkin patch, and I will say I LOVE dressing for Fall! Cozy sweaters, plaids, boots and scarves are a few of my favorite things! I hope you enjoy this months printable! It is darling framed as I have it, or you could even print them into a small size, like 4×6, and use them as invitations for a Fall party! Whatever your creative side comes up with, I know it will be great! I will see you back here next month! Until then, let’s stay connected via social media, and please stop by my blog and say “HI” too! !